Andrzej Duda, the President of Poland, stated that Russia is a major threat to the world. 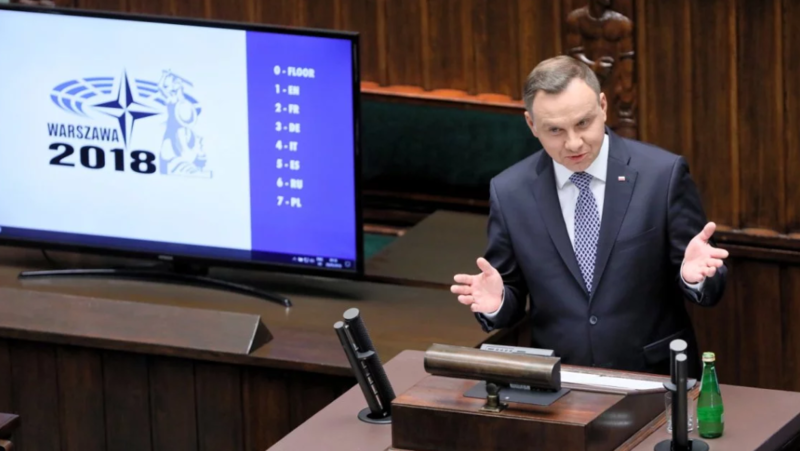 He said it delivering a speech on the last day of NATO Parliamentary session in Warsaw, Polske Radio reports. As Duda stressed the only thing which can secure the Euro-Atlantic region is strengthening of relations between Europe and North America. “The development of the security policy and the defence cooperation in the EU as well as the development of the cooperation between the EU and the USA, strengthening of the defense capacity of the European states, the increasing of the opportunities of all the North Atlantic Alliance and the USA – all these is really significant for us,” he noted. He said that the biggest threat to the security in Europe and the world is Russia. He recalled the attack on Georgia in 2014, Crimea’s occupation and intervention in eastern Ukraine in 2014, stressing that these things show Russia’s actual intentions. “Recent events proved that the Kremlin allows itself to commit assassinations using chemical weapon on the territory of NATO member states and intervene the democratic processes,” Duda reminded. Polish President is convinced that Russia put in doubt the international order which exists at the turn of the 20th and 21st centuries. “I regret to admit that Moscow has not put up with the ruin of the imperial Soviet Union, considering the period of the 1990s, full of hopes for the longstanding peace in Europe only as a strategic break in the confrontation on East-West line,” he stated. “Besides, it should be emphasized that the experience gained over the past two years did not provide any reasons to come back to wider cooperation between NATO and Russia, but it demonstrated the Moscow is not interested in an honest constructive dialogue,” Duda concluded.